Donna D. Price of Jemison, Alabama passed away at the age of 74 on Sunday, March 24, 2018 after a long illness at Shelby Baptist Medical Center with family by her side. While attending the University of Alabama, she met her husband of 52 years, Shelton. She graduated with a degree in Family and Consumer Science. After graduation, she followed her beloved husband to different Air Force bases, from California to Florida. 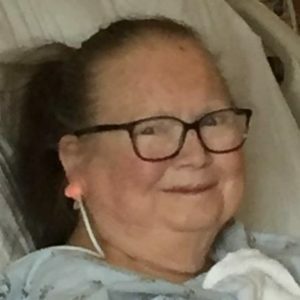 Donna will be warmly remembered by her daughter Victoria L. Price, her son William M. Price (Robin Hilyer), a brother Dr. Leon (Brenda) Newman and a host of nieces and nephews who endearingly called her Nana. Donna will also be affectionately remembered by friends for her caring acts of kindness. Donna was preceded in death by her husband, Shelton L. Price, her parents Colonel and Mrs. William J. Newman, and her brother William J. Newman, Jr.
A graveside service will be held Tuesday, April 2nd, at 1:15 at the Alabama National Cemetery in Montevallo, Alabama. The family request that donations be made to the charity of your choice.